The saying “Art imitates life” or vice-versa doesn’t accurately describe Barry Jenkins’s critically-acclaimed Moonlight, although many early reviews and interviews with the filmmaker make it seem that way. To succinctly summarize, the film chronicles the journey of a young black boy as he traverses into manhood. The overall plot is that simple, but where Moonlight truly shines as more than just a coming-of-age story is within the execution of its details. 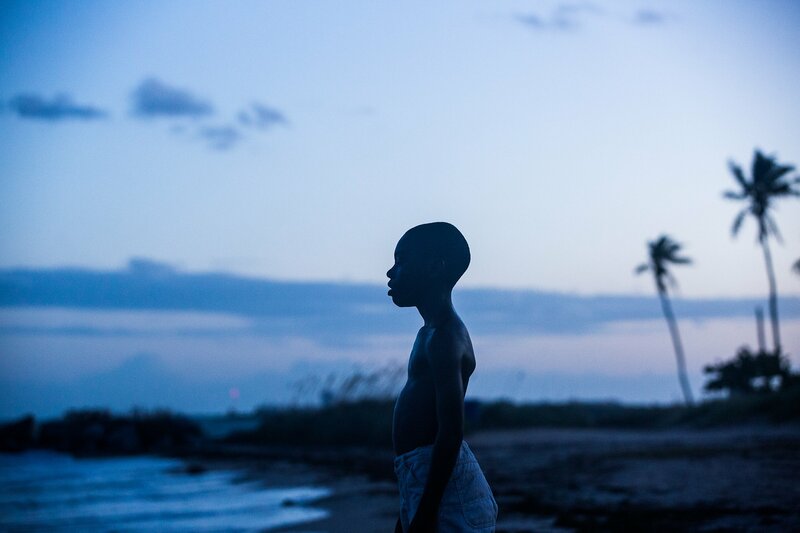 With its sweeping narrative, kaleidoscopic visuals, and an atmospheric musical score, Moonlight shows us instead the ability art has in heightening life—especially in the bleakness of reality. Chiron’s tough life is hardly ever explained through action-based sequences—as the visual medium of cinema often requires—but mostly through dialogue and lingering looks between two characters in a scene. Supporting characters also drop in and out of the story without much explanation of their present whereabouts, only that they have served their purpose for Chiron. This can sometimes be frustrating to audiences, however, as our connections to the impressive ensemble (Janelle Monáe as the empathetic Teresa and Naomie Harris as Paula, the struggling mother with her own internal demons, to name a few) become short-lived. The absence of Chiron’s mentor, Juan (Mahershala Ali), in the later two acts is most notably troubling, but one can argue that his humble spirit continues on inside the boy. While the performances certainly outweigh all other elements in this film, Jenkins nevertheless makes bold choices in creating his cinematic world. The filmmaker is not shy when it comes to experimentation. With the help of cinematographer James Laxton, the desolation of Chiron’s everyday existence is juxtaposed with a dream-like visual landscape. Backgrounds are often saturated in electric colors—neon pinks and celestial blues—that emphasize Miami as more than just a physical location: It is a place of mind, a pulsating feeling, its own character in the story. Furthermore, facial expressions become palpable in close-ups against a very shallow depth of field, allowing audiences to acutely feel their pain or anger or tenderness. At times, though, Moonlight feels littered with too much experimentation that it becomes inconsistent. Some film techniques that don’t necessarily enhance the story are image distortion caused by anamorphic lenses and sometimes out-of-focus faces in the middle of casual conversations. These choices were perhaps motivated by Jenkins’s film school background, but our attention should always remain in the simplicity of the mise-en-scène; the characters and their surroundings provide enough drama for the frame. Despite a low budget and limited resources, Jenkins managed to craft a story that is personal and intimate for the two writers (both Jenkins and McCraney grew up poor in Miami with mothers battling drug addiction) but also emblematic of a culture rarely explored in such detail. This particular way of life is elevated even further amidst a swooning musical score. Composer Nicholas Britell employs the techniques of Chopped and Screwed hip hop music but instead uses classical instruments. Strings made to sound otherworldly play while Juan teaches Chiron how to swim. A critical moment of a hand-slap is recycled into percussion beats. The result is a sense of timelessness that is based in the contemporary—the kind of cinematic poetry Terrence Malick or Claire Denis dreams up. The music in Moonlight is so crucial that the final scene where the older Chiron reunites with his once-upon-a-time lover, Kevin (André Holland), might never have occurred without it. The two meet up in a diner after Kevin mentions a song over the phone that reminds him of Chiron (“Chiron’s Theme”). This encounter is so rich in tension and tenderness that it prompts us to meditate on the previous two acts, shifting through scenes with past versions of “Chiron’s Theme” that lead us to this point. The sequence concludes with the two men in an embrace back in Kevin’s home, an open-ended resolution that may seem too simple by today’s standards and yet pitch perfect to this film. Perhaps this is what Moonlight intends to say about life. These seemingly simple scenes are not just born out of the ordinary. Juan doesn’t just teach Chiron how to swim. Kevin doesn’t just comfort Chiron after their falling-out. These are defining moments that awaken our everyday—fractions of precious time embedded into our very beings, shaping us into who we are today. Directed by Barry Jenkins and starring Trevante Rhodes, Mahershala Ali, Naomie Harris, and André Holland, Moonlight is out now in limited release.